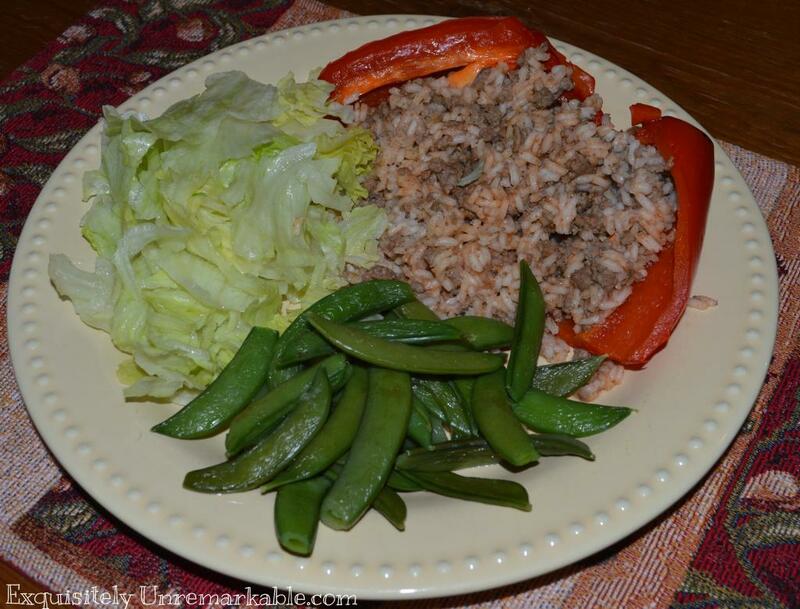 A traditional stuffed pepper recipe that's easy and delicious straight from my mom's kitchen. 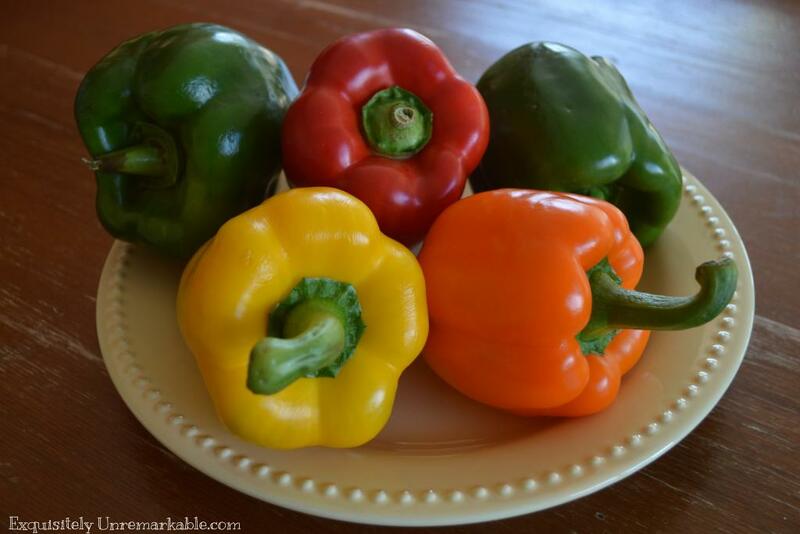 Eat A Rainbow for Good Health ~ The Start of Great Recipe! So my mom and I have chosen our next recipe to share with you and I am so excited, because Stuffed Peppers is one of my all time favorites. It’s super easy and can be prepared beforehand and popped in the oven later in the day. It is also makes a very yummy leftover, especially if you put the inside mixture on a hero roll, add the chopped peppers and a bit of tomato sauce- a hot hero sandwich! Yum! Here is my mom’s recipe. We hope you enjoy it! 4 to 6 peppers depending on size. 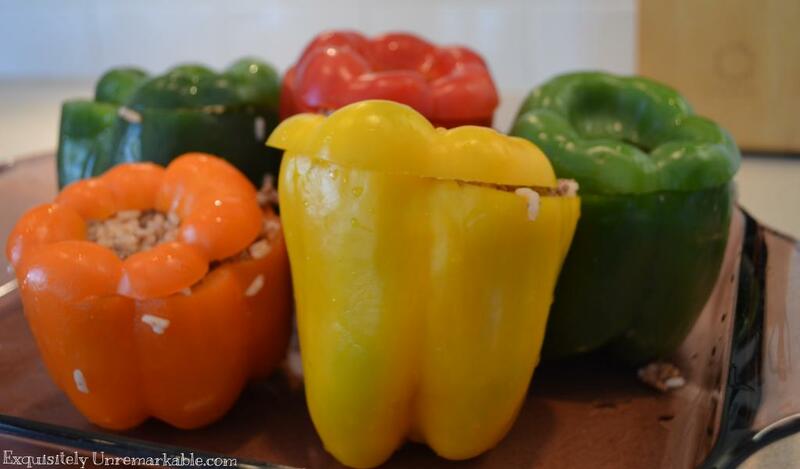 Peppers can be any color you choose, I grab a mix. In a large skillet cook beef. I usually add a bit of olive oil or Pam spray to the pan. 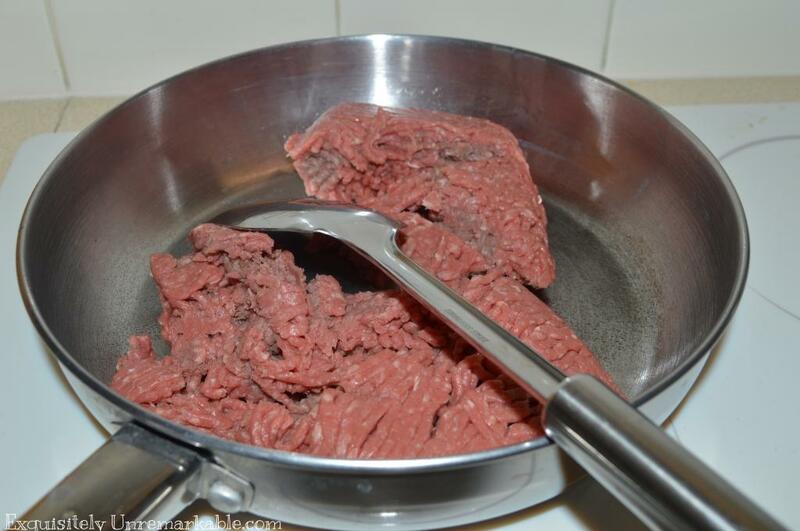 Cook meat until done, stirring often so it does not burn. At the same time cook rice according to directions (I pop it in the microwave at 5 minute intervals with 2 cups of water). 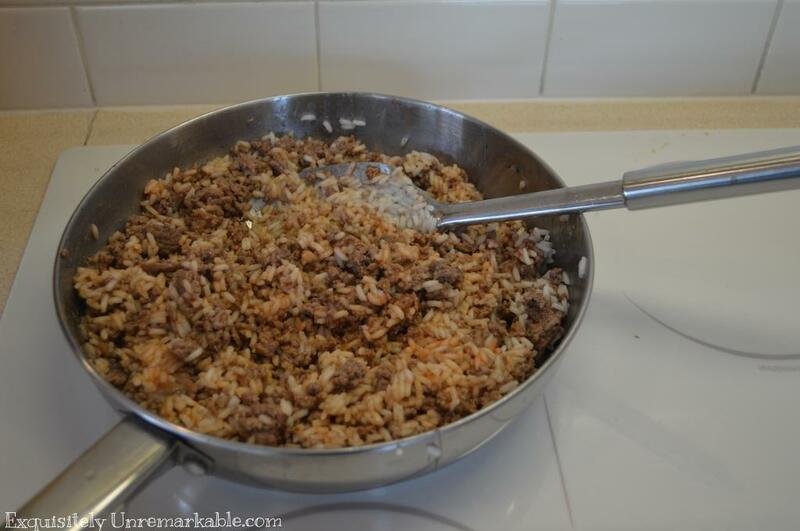 When both meat and rice are done, combine them. Add onion powder, salt and pepper to taste. Stir in tomato paste and mix well. 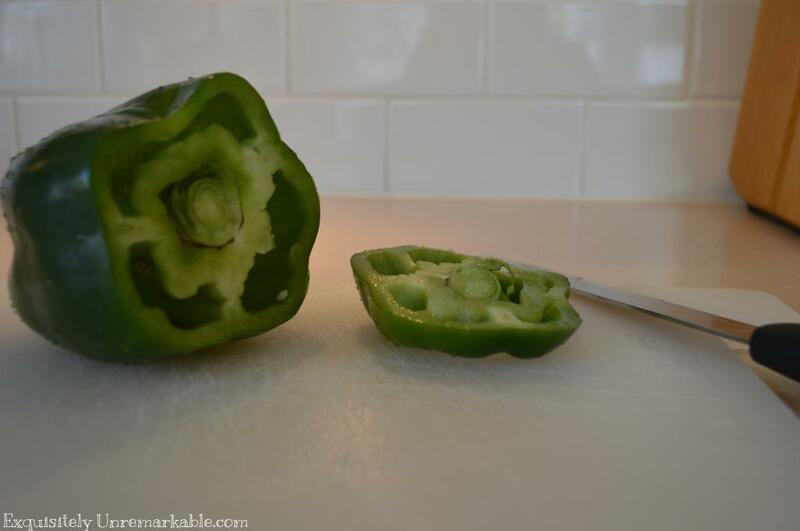 Wash peppers and cut tops off (save them! ), scrape out inside. Fill each pepper with the beef/ rice mixture until full. Place them in a baking dish with sides to lean on, so they do not fall over. Place tops back on pepper and bake for 30-45 minutes (depending on pepper size and your oven). I usually cover them with foil for the first 25 minutes, then remove foil for the remaining time. Sometimes I serve them with a bit of ketchup, always with a salad and other veggies and a big piece of Italian bread! If you give it a try, let me know! ﻿And check out my other EASY RECIPES! mmmmmm that looks delicious! thank you for another receipe idea to combat boredom with our food in my home. Trust me, we are fighting the same battle in my own home! My kids are so excited that I am blogging now, as they at least get something interesting to eat when I am preparing a post! ;) Thanks for the comment! Thanks for stopping by my blog. 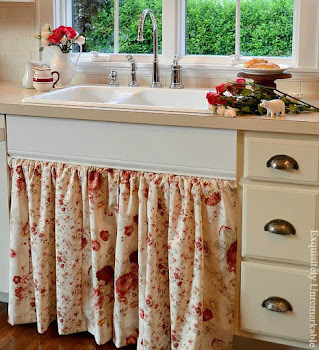 Now, you WILL return on Wednesday for my Wonderful Wednesday Blog Hop, right? In fact, if you don't mind, I would like to send you an email reminder. 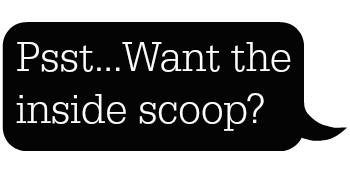 I would LOVE to! Thanks so much for the invite and thanks for stopping by! Looking forward to Wednesday! Great tip about the leftover sauce, I'll have to remember that one! Have a great day and thanks for stopping by!